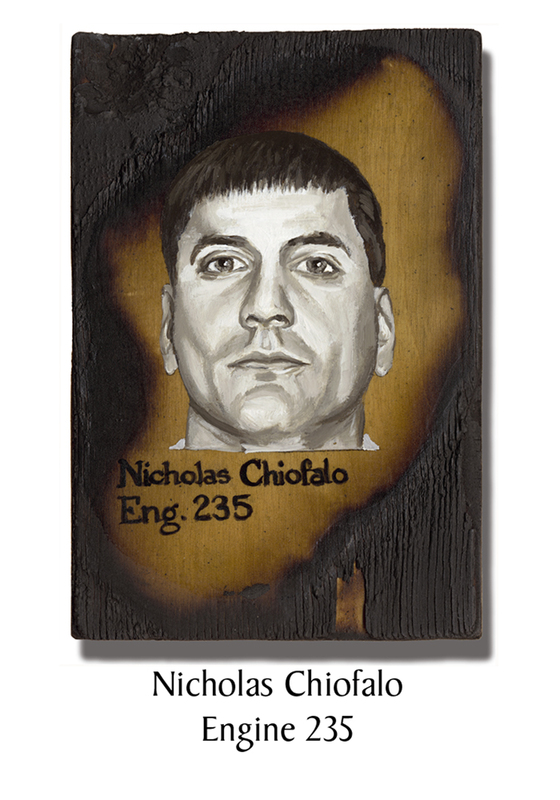 Nicholas Chiofalo, 39, loved to work. Besides the FDNY, he was also the Fire Chief at the volunteer department in Selden, NY. And he had a side job as a pyrotechnics engineer with Grucci, the company that sets off the 4th of July fireworks for NYC. He was hired to that position because of the quality of the condolence letter he sent the company after a fireworks accident killed several employees. Chiofalo had just finished his 24-hour shift that Tuesday morning but did have a chance to call his wife to say he was going in to Manhattan. “When he called me that morning and said he was going I knew he wasn’t coming back,” she said. “He loved being a fireman. He loved saving lives. This is what he did.” The men of Engine 235 entered the South Tower and were never seen again. Chiofalo left behind one son, 13. This entry was posted in Better Angels Stories and tagged 343, 9/11, better angels, Dawn Siebel, Engine Co. 235, FDNY, firefighter, firefighters, firefighters of 9/11, LODD, Manhattan, memorial, NFFF, Nicholas Chiololo, paintings, portraits, World Trade Center, WTC. Bookmark the permalink. Nicky was the Captain of Selden’s Truck Co. 1. My Father J.R. Rodgers was Chief of Dept.,as well a 9/11 survivor from E-294.